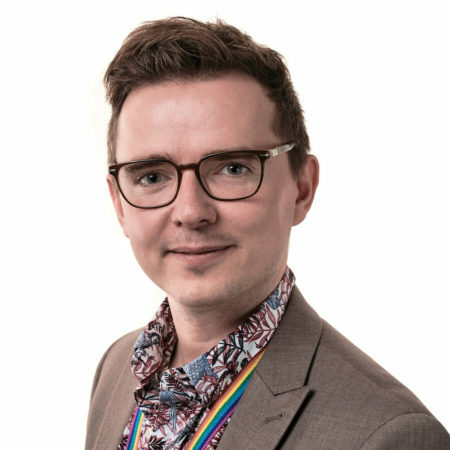 David is a Teaching Fellow in the School of Theatre & Performance and Cultural & Media Policy Studies and an Early Career Fellow in the Institute of Advanced Studies at the University of Warwick. David holds a BA (Hons) and MA by Research in Theatre a Performance Studies from the University of Warwick, with his MA dissertation on the subject of Private Theatricals at Chatsworth House: 1880-1914. In 2017 he submitted his PhD thesis titled The Development of Amateur Theatre in Britain, 1789-1914. As an Early Career Academic, David is working on a number of outputs from his research. He is preparing to submit a proposal to publish his writings on amateur theatre in the long nineteenth century as a monograph. He is also working on a number of journal articles, including one which considers grave hunting as part of a theatre historian’s research methodology, and another which grapples with queer subcultures in nineteenth century amateur theatre. Alongside this work, David is preparing an application for Heritage Lottery Funding to support a larger community-led project investigating The Legacy and Cultural Heritage of the Shelley Family in Dorset. This project will include the reconstruction of a night of amateur theatricals at the Shelley Theatre near Bournemouth, a venue which was once the private theatre of Sir Percy Florence Shelley. This reconstruction will involve the mounting of a number of lost plays written by Sir Percy Florence Shelley, which now exist only in manuscript form and have not been performed since their original stagings between 1851 and 1889. David is an active member of a number of associations. He has been a member of the International Federation for Theatre Research (IFTR) Historiography Working Group since 2013, and was the Administrator for the IFTR Warwick World Congress in 2014. He is also a long-standing member of the Theatre and Performance Research Association (TaPRA) and the Society for Theatre Research (STR), and has served on the Executive Committee of both organisations. For the latter, he founded the New Researchers’ Network (NRN), and served as its Chair between 2012 and 2015. In addition, David is a member of the British Association for Victorian Studies (BAVS) and one of the founding members of RAPPT, an organisation that aims to unite scholars carrying out ‘Research into Amateur Performance and Private Theatricals’. Alongside David’s PhD, he has worked in Arts Administration at Warwick Arts Centre in various departments, including Programming and Business Development. Digital Humanities and Mapping Theatre Histories.